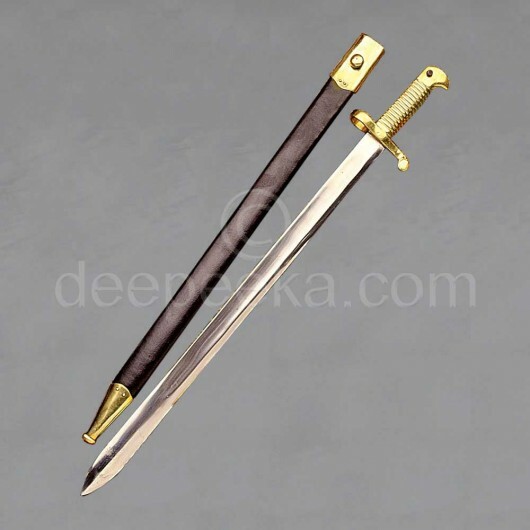 This fine replica bayonet is made to fit Zouave Rifles. Made of tempered high carbon steel. The fullered blade is hand forged and ground. The grip is made of solid brass. It has a black leather scabbard with brass throat and tip. The throat piece has a brass button for a belt frog.It is battle ready and can be used for costume dressing also.